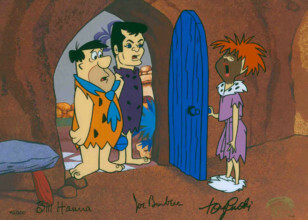 The Flintstones is an animated, prime-time American television sitcom that was broadcast from September 30, 1960, to April 1, 1966, on ABC. 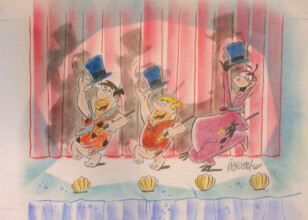 The show was produced by Hanna-Barbera Productions. 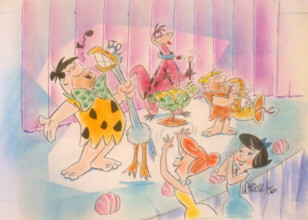 The Flintstones was about Fred Flintstone, a working-class Stone Age man, and his family and his next-door neighbor and best friend, Barney Rubble. 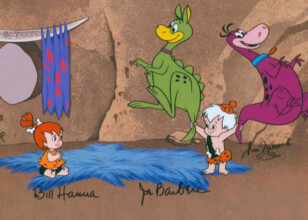 The show's continuing popularity rested heavily on its juxtaposition of modern everyday concerns in the Stone Age setting. 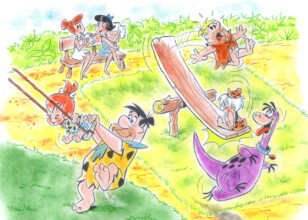 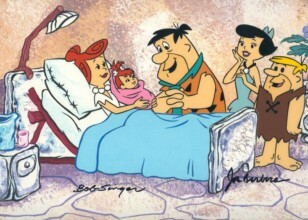 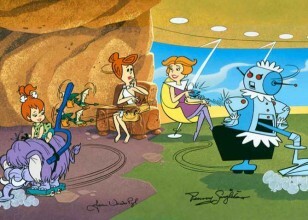 A common running gag was the use of prehistoric versions of modern technology such as Fred Flintstone's wood, stone and fur car, which is operated by Fred physically running along the ground inside the car, or prehistoric animals acting as various substitutions for modern technology, such as an adult woolly mammoth acting as a shower by spraying water out of its trunk. 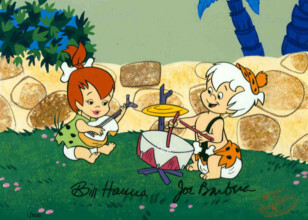 In addition, audiences were treated to Stone Age adaptations of modern life, such as people living in split level homes, listening to records, and eating out at restaurants. 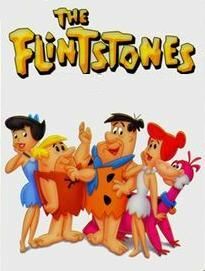 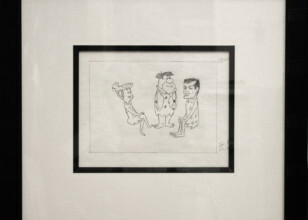 The Flintstones was the most financially successful network animated franchise for three decades, until The Simpsons debuted replacing the Flintstones as America's favorite animated sitcom family.